The AGA Dorrington Woodburning Stove is a contemporary woodburning stove with a look that will enhance any room. 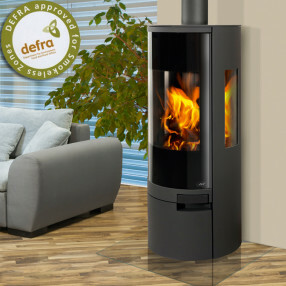 The stove has an output of 5.9kW making it an excellent choice for medium to large rooms. The Dorrington has a large viewing window and side windows giving you an excellent view from anywhere in the room. The secondary airwash helps to keep the glass clean so you can enjoy the view of the flame.